Tube mill strip is uncoiled and fed through a multiple stand forming mill which shapes the strip into tube. The tube is welded without filler metal in an inert atmosphere using a non-consumable tungsten electrode (T.I.G. welding) or laser technology. Dimensional properties are achieved when the as-welded tube passes through a final, multi-stage sizing mill. 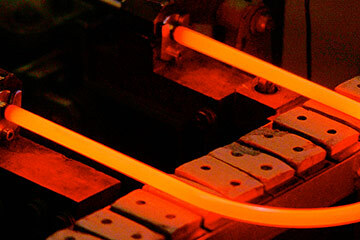 Mechanical and thermal stresses are relieved by in-line induction heating under inert atmosphere. Afterwards, the tube is straightened, 100% Eddy Current (EC) tested, line marked, then automatically cut. Finished tube ends are deburred. The product is subsequently dimensionally inspected, tested through NDT controls (pneumatic testing, EC inspection and Ultrasonic Testing) as required and packaged to customer specification. Our manufacturing process is designed to guarantee the highest level of quality and safety for tubes, not only meeting but exceeding customer specifications. We believe in continuous improvement of our factories and production methods. Our equipment is state-of-the-art and we implement stringent maintenance procedures to ensure the highest level of quality of every tube. Every NEOTISS factory shares the same values and practices, ensuring the same excellence everywhere, both in the production process and plant management. With 40 years of experience and continuous progress NEOTISS masters the entire welding process and provides the highest level of quality and safety in the market. 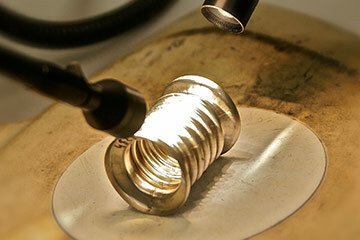 NDT is at the heart of our quality process and is the result of an unparalleled experience in welded tubing solutions.